The Samantha LJosephson Ridesharing Safety Act would require drivers to clearly identify their ride-hailing vehicles by displaying an illuminated sign at all times when active. 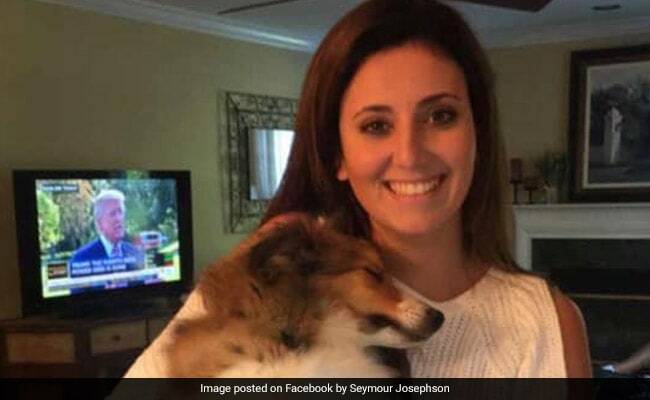 Autopsy results show Samantha Josephson died of "multiple sharp force injuries." Tuesday night, hundreds of mourners gathered in a New Jersey park on the eve of Samantha Josephson's funeral to say goodbye. They lit candles and shared memories of their friend, a college student who was killed in South Carolina last week after police say she mistakenly got into the wrong vehicle, thinking it was an Uber ride. Hours later, she was found dead in a field by hunters; a 24-year-old named Nathaniel D Rowland has been charged in connection with her death. Her story has gripped the country for days, but the loss was felt most acutely in Robbinsville, New Jersey, the town where she grew up. "I am so thankful for the years that we had with each other, and I will miss her each and every day," a friend, Jess Samuel, told WABC7. Hundreds of family and friends packed a Jewish synagogue for her funeral in New Jersey, according to WABC7. Her death has heightened calls to improve the safety of ride-hailing services. One of the loudest calls for action came from Josephson's father. "What he did, I don't want anyone else to go through it as a parent," Seymour Josephson said Tuesday. "We want something to change." The South Carolina state House on Tuesday introduced legislation, named in her honor, which, if passed, would add new safety requirements to ride-hailing vehicles. The Samantha L Josephson Ridesharing Safety Act would require drivers to clearly identify their ride-hailing vehicles by displaying an illuminated sign at all times when active. Current South Carolina law requires drivers to apply a reflective "signage or emblem" to their vehicle. The legislation also would require drivers to return the illuminated sign when they stop working for a ride-hailing app. "I'm just sick about this," state Rep Seth Rose, D, one of the lawmakers who introduced the bill, told the State. A representative from Uber, one of the most popular ride-hailing services, told a Columbia NBC affiliate through a statement that the company was "devastated" by Josephson's death and that the company has been working with police and college campuses about how to educate the public about how to avoid fake rideshare drivers. The University of South Carolina, where Josephson was a senior, sent safety tips to students urging them to "be aware of their surroundings" and to "exercise best practices" when using ride-hailing services. Early on Saturday, Josephson said goodbye to her friends after a night at the Bird Dog bar in Columbia, South Carolina. It was just past 2 am when she called an Uber to take her home. But the car she got into was not her ride, police said. Surveillance video showed her getting into a black Chevrolet Impala, which had pulled up beside her, police said. Her friends reported her missing 12 hours later, and not long after that, two hunters found her body in a field about 70 miles from the bar where she was picked up. Autopsy results released Monday show Josephson had died of "multiple sharp force injuries." About 24 hours after she disappeared, police spotted a car matching the description of the one Josephson had gotten into. An officer pulled the driver over and asked him to step out of the vehicle, but the man fled. He was later apprehended. When they inspected the car, authorities said they discovered antibacterial wipes, bleach, window cleaner, Josephson's phone and blood that tests later revealed to be hers. The driver, Rowland, was arrested and charged with murder and kidnapping. He will appear in court later this month. On Tuesday, friends and family gathered in Robbinsville chose to use the vigil to celebrate her life. They shared anecdotes and "Sammyisms," which told of a girl who loved to sing, laugh and spend time with her friends. "She would want us to toast her, not cry for her," said neighbor Barb Samel, according to the Asbury Park Press. "If my family and I learned anything from Sammy it was how to laugh often, love much and to be yourself no matter who was watching."